Every Project has resources associated with it so you can book their time on the project. 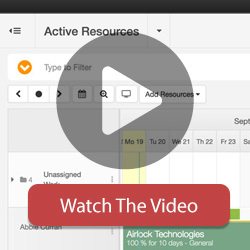 The Resources tab allows you to “Add New Resources” or “New Resource Group” to your account and assign them to a Project. Subsequently, you still need to book their time on the bookings grid. 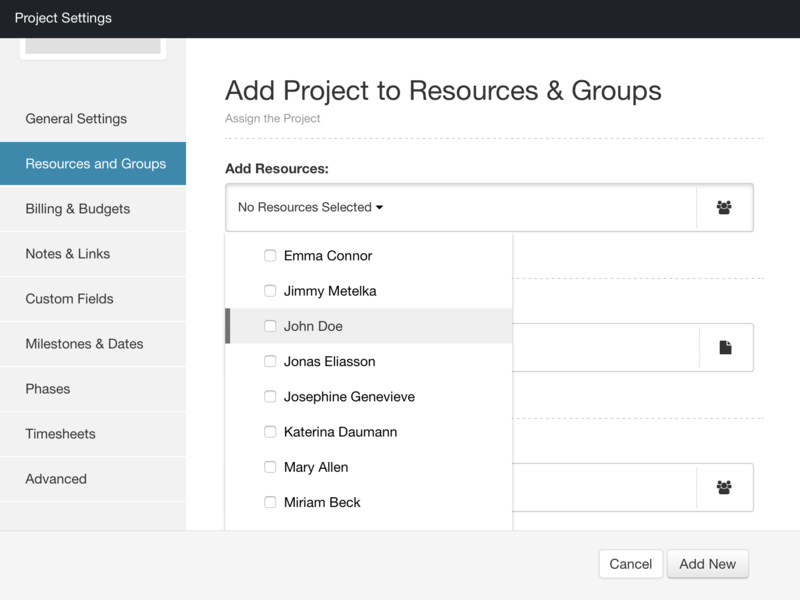 You can add your project against as many Project Groups as you like. 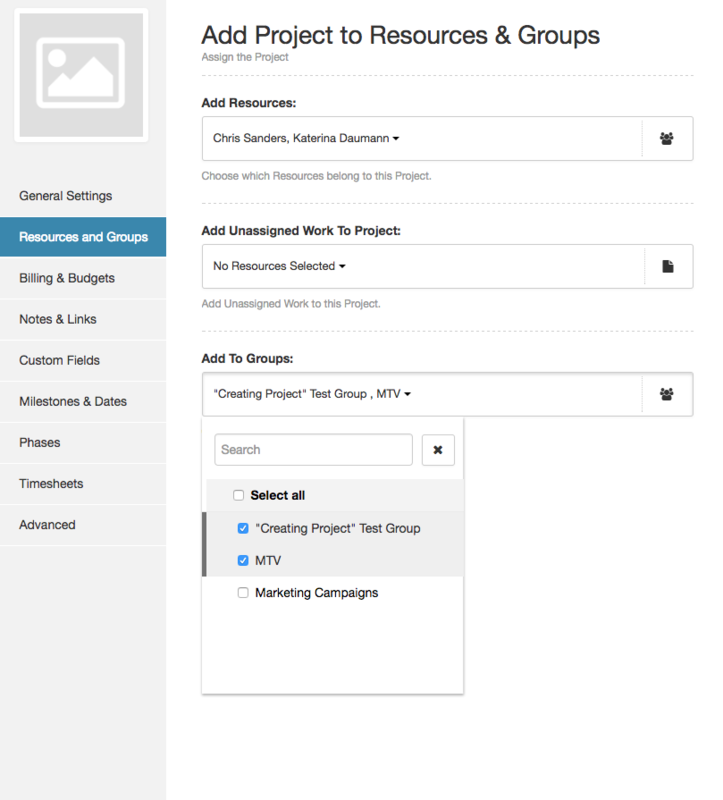 You will first need to create a “New Project Group” in your sidebar before it will appear in this list.